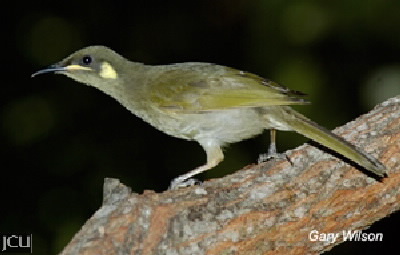 Usually found in rainforest areas as well as woodlands, the overall colour of this species is brown with darker brown blotches on the back, underparts are lighter brown to olive-brown. The small yellow patch near the eye and the yellow line distinguish this species from others. Legs and feet brown, eyes brown, bill brown to black. Sometimes also referred to as the ‘Lesser Lewin’.